Home › Life in Christ › Morning Reading: Thu, 29 Mar – Jeremiah 7-11 ~ Warn them, but don’t expect them to respond. 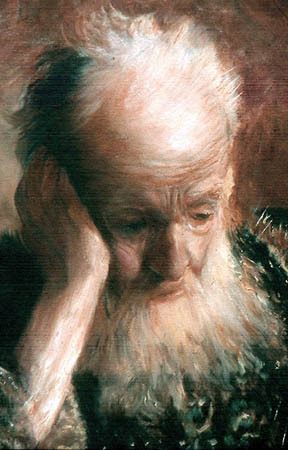 Morning Reading: Thu, 29 Mar – Jeremiah 7-11 ~ Warn them, but don’t expect them to respond. + Still time to repent – “‘Even now, if you quit your evil ways, I will let you stay in your own land. But don’t be fooled by those who promise you safety simply because the Lord’s Temple is here. They chant, “The Lord’s Temple is here! The Lord’s Temple is here!” But I will be merciful only if you stop your evil thoughts and deeds and start treating each other with justice; only if you stop exploiting foreigners, orphans, and widows; only if you stop your murdering; and only if you stop harming yourselves by worshiping idols. Then I will let you stay in this land that I gave to your ancestors to keep forever. 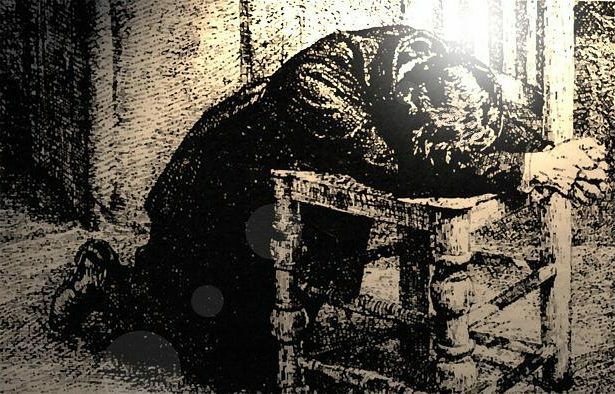 + The Temple won’t save you – “‘Don’t be fooled into thinking that you will never suffer because the Temple is here. It’s a lie! Do you really think you can steal, murder, commit adultery, lie, and burn incense to Baal and all those other new gods of yours, and then come here and stand before me in my Temple and chant, “We are safe!”—only to go right back to all those evils again? Don’t you yourselves admit that this Temple, which bears my name, has become a den of thieves? Surely I see all the evil going on there. I, the Lord, have spoken! + But they refuse to listen – “But my people would not listen to me. They kept doing whatever they wanted, following the stubborn desires of their evil hearts. They went backward instead of forward. From the day your ancestors left Egypt until now, I have continued to send my servants, the prophets—day in and day out. But my people have not listened to me or even tried to hear. They have been stubborn and sinful—even worse than their ancestors. + Bodies burned – “The people of Judah have sinned before my very eyes,” says the Lord. “They have set up their abominable idols right in the Temple that bears my name, defiling it. They have built pagan shrines at Topheth, the garbage dump in the valley of Ben-Hinnom, and there they burn their sons and daughters in the fire. I have never commanded such a horrible deed; it never even crossed my mind to command such a thing! So beware, for the time is coming,” says the Lord, “when that garbage dump will no longer be called Topheth or the valley of Ben-Hinnom, but the Valley of Slaughter. They will bury the bodies in Topheth until there is no more room for them. The bodies of my people will be food for the vultures and wild animals, and no one will be left to scare them away. I will put an end to the happy singing and laughter in the streets of Jerusalem. The joyful voices of bridegrooms and brides will no longer be heard in the towns of Judah. The land will lie in complete desolation. + Bones scattered – “In that day,” says the Lord, “the enemy will break open the graves of the kings and officials of Judah, and the graves of the priests, prophets, and common people of Jerusalem. They will spread out their bones on the ground before the sun, moon, and stars—the gods my people have loved, served, and worshiped. Their bones will not be gathered up again or buried but will be scattered on the ground like manure. And the people of this evil nation who survive will wish to die rather than live where I will send them. I, the Lord of Heaven’s Armies, have spoken! + My people refuse to return to me – “‘When people fall down, don’t they get up again? When they discover they’re on the wrong road, don’t they turn back? Then why do these people stay on their self-destructive path? Why do the people of Jerusalem refuse to turn back? They cling tightly to their lies and will not turn around. I listen to their conversations and don’t hear a word of truth. Is anyone sorry for doing wrong? Does anyone say, “What a terrible thing I have done”? No! All are running down the path of sin as swiftly as a horse galloping into battle! Even the stork that flies across the sky knows the time of her migration, as do the turtledove, the swallow, and the crane. They all return at the proper time each year. But not my people! They do not know the Lord’s laws. “Oh, why have they provoked my anger with their carved idols and their worthless foreign gods?” says the Lord. I hurt with the hurt of my people. I mourn and am overcome with grief. Is there no medicine in Gilead? Is there no physician there? Why is there no healing for the wounds of my people? If only my head were a pool of water and my eyes a fountain of tears, I would weep day and night for all my people who have been slaughtered. Oh, that I could go away and forget my people and live in a travelers’ shack in the desert. For they are all adulterers—a pack of treacherous liars. + My people do not know me – “My people bend their tongues like bows to shoot out lies. They refuse to stand up for the truth. They only go from bad to worse. They do not know me,” says the Lord. + No one can be trusted – “Beware of your neighbor! Don’t even trust your brother! For brother takes advantage of brother, and friend slanders friend. They all fool and defraud each other; no one tells the truth. With practiced tongues they tell lies; they wear themselves out with all their sinning. They pile lie upon lie and utterly refuse to acknowledge me,” says the Lord. I will weep for the mountains and wail for the wilderness pastures. For they are desolate and empty of life; the lowing of cattle is heard no more; the birds and wild animals have all fled. Who is wise enough to understand all this? Who has been instructed by the Lord and can explain it to others? Why has the land been so ruined that no one dares to travel through it? + Teach your daughters to wail – Listen, you women, to the words of the Lord; open your ears to what he has to say. Teach your daughters to wail; teach one another how to lament. For death has crept in through our windows and has entered our mansions. It has killed off the flower of our youth: Children no longer play in the streets, and young men no longer gather in the squares. + Boast in knowing me – This is what the Lord says: “Don’t let the wise boast in their wisdom, or the powerful boast in their power, or the rich boast in their riches. But those who wish to boast should boast in this alone: that they truly know me and understand that I am the Lord who demonstrates unfailing love and who brings justice and righteousness to the earth, and that I delight in these things. I, the Lord, have spoken! + Idol worship is stupid and foolish – Lord, there is no one like you! For you are great, and your name is full of power. Who would not fear you, O King of nations? That title belongs to you alone! Among all the wise people of the earth and in all the kingdoms of the world, there is no one like you. People who worship idols are stupid and foolish. The things they worship are made of wood! They bring beaten sheets of silver from Tarshish and gold from Uphaz, and they give these materials to skillful craftsmen who make their idols. Then they dress these gods in royal blue and purple robes made by expert tailors. But the Lord made the earth by his power, and he preserves it by his wisdom. With his own understanding he stretched out the heavens. When he speaks in the thunder, the heavens roar with rain. He causes the clouds to rise over the earth. He sends the lightning with the rain and releases the wind from his storehouses. + Idols are ridiculous lies – The whole human race is foolish and has no knowledge! The craftsmen are disgraced by the idols they make, for their carefully shaped works are a fraud. These idols have no breath or power. Idols are worthless; they are ridiculous lies! On the day of reckoning they will all be destroyed. 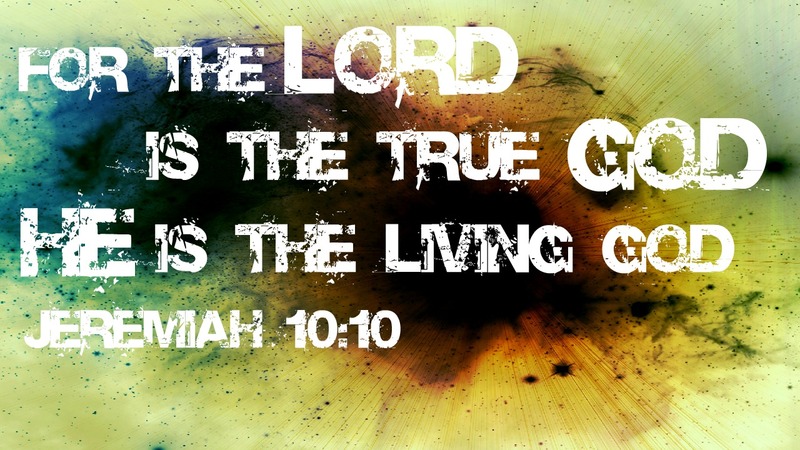 + The God of Israel is the Creator of everything – But the God of Israel is no idol! He is the Creator of everything that exists, including Israel, his own special possession. The Lord of Heaven’s Armies is his name! My wound is severe, and my grief is great. My sickness is incurable, but I must bear it. My home is gone, and no one is left to help me rebuild it. My children have been taken away, and I will never see them again. The shepherds of my people have lost their senses. They no longer seek wisdom from the Lord. Therefore, they fail completely, and their flocks are scattered. Listen! Hear the terrifying roar of great armies as they roll down from the north. The towns of Judah will be destroyed and become a haunt for jackals. I know, Lord, that our lives are not our own. We are not able to plan our own course. So correct me, Lord, but please be gentle. Do not correct me in anger, for I would die. Pour out your wrath on the nations that refuse to acknowledge you—on the peoples that do not call upon your name. For they have devoured your people Israel; they have devoured and consumed them, making the land a desolate wilderness. + I will bring calamity upon them – Again the Lord spoke to me and said, “I have discovered a conspiracy against me among the people of Judah and Jerusalem. They have returned to the sins of their ancestors. They have refused to listen to me and are worshiping other gods. Israel and Judah have both broken the covenant I made with their ancestors. Therefore, this is what the Lord says: I am going to bring calamity upon them, and they will not escape. Though they beg for mercy, I will not listen to their cries. Then the people of Judah and Jerusalem will pray to their idols and burn incense before them. But the idols will not save them when disaster strikes! Look now, people of Judah; you have as many gods as you have towns. You have as many altars of shame—altars for burning incense to your god Baal—as there are streets in Jerusalem. + I will not listen to them – “Pray no more for these people, Jeremiah. Do not weep or pray for them, for I will not listen to them when they cry out to me in distress. “What right do my beloved people have to come to my Temple, when they have done so many immoral things? Can their vows and sacrifices prevent their destruction? They actually rejoice in doing evil! I, the Lord, once called them a thriving olive tree, beautiful to see and full of good fruit. But now I have sent the fury of their enemies to burn them with fire, leaving them charred and broken. + Help me – O Lord of Heaven’s Armies, you make righteous judgments, and you examine the deepest thoughts and secrets. Let me see your vengeance against them, for I have committed my cause to you.